Jesús A. Ramos-Kittrell, "Playing in the Cathedral: Music, Race, and Status in New Spain"
Throughout Spanish colonial America, limpieza de sangre (literally, "purity of blood ") determined an individual's status within the complex system of social hierarchy called casta. Within this socially stratified culture, those individuals at the top were considered to have the highest calidad-an all-encompassing estimation of a person's social status. At the top of the social pyramid were the Peninsulares: Spaniards born in Spain, who controlled most of the positions of power within the colonial governments and institutions. Making up most of the middle-class were criollos, locally born people of Spanish ancestry. During the late seventeenth and early eighteenth centuries, Peninsulare intellectuals asserted their cultural superiority over criollos by claiming that American Spaniards had a generally lower calidad because of their "impure " racial lineage. Still, given their Spanish heritage, criollos were allowed employment at many Spanish institutions in New Spain, including the center of Spanish religious practice in colonial America: Mexico City Cathedral. Indeed, most of the cathedral employees-in particular, musicians-were middle-class criollos. In Playing in the Cathedral, author Jesús Ramos-Kittrell explores how liturgical musicians-choristers and instrumentalists, as well as teachers and directors-at Mexico City Cathedral in the mid-eighteenth century navigated changing discourses about social status and racial purity. He argues that criollos cathedral musicians, influenced by Enlightenment values of self-industry and autonomy, fought against the Peninsulare-dominated, racialized casta system. Drawing on extensive archival research, Ramos-Kittrell shows that these musicians held up their musical training and knowledge, as well as their institutional affiliation with the cathedral, as characteristics that legitimized their calidad and aided their social advancement. The cathedral musicians invoked claims of "decency " and erudition in asserting their social worth, arguing that their performance capabilities and theoretical knowledge of counterpoint bespoke their calidad and status as hombres decentes. 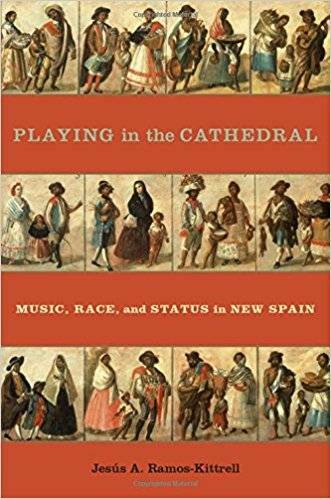 Ultimately, Ramos-Kittrell argues that music, as a performative and theoretical activity, was a highly dynamic factor in the cultural and religious life of New Spain, and an active agent in the changing discourses of social status and "Spanishness " in colonial America. Offering unique and fascinating insights into the social, institutional, and artistic spheres in New Spain, this book is a welcome addition to scholars and graduate students with particular interests in Latin American colonial music and cultural history, as well as those interested in the intersections of music and religion.